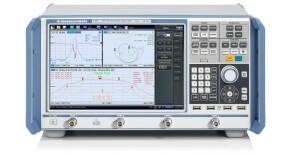 In many cases it is imperative that the R&S®ZNB/ZNBT/ZNC/ZND vector network analyzer be used in a secured environment. 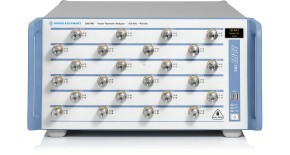 Generally these highly secured environments will not allow any test equipment to leave the area unless it can be proven that no user information will leave with the test equipment. Security concerns can arise when signal analyzers need to leave a secured area to be calibrated or serviced. This document describes the types of memory and their usage in the R&S®ZNB/ZNBT/ZNC/ZND vector network analyzer. It also addresses methods of ensuring that no user data will leave the secured area should the product be removed for calibration or service needs. USB ports can pose a security threat in high-security locations. Generally, this threat comes from small USB pen drives (a.k.a. memory sticks, key drives, etc.) which can be very easily concealed, yet can quickly read/write several GBytes of data. The "USB Mass Memory Write Protection" utility disables the write capability on any USB Port for storage devices. After installation and a reboot of the instrument, any USB Mass Memory Device which is plugged in, can not be written.